We had a fabulous concert of music by Will Todd, singing to a packed audience in the beautiful church of Holy Trinity, Guildford. The acoustic is absolutely stunning and the choir sounded wonderfully rich and luxurious. I count myself very lucky indeed to have worked with many truly great musicians over the years and this concert gave me the chance to work with two more: James Sherlock and Will Todd. I’ve worked with James many times over the past few years – for several years we were the duo running the music at St Bartholomew-the-Great together – and it was wonderful to have him at the organ again, accompanying us, as always, so sensitively. Alongside James we had the pleasure of Will Todd playing the piano for his ‘Mass in Blue’. He was sensational! I’m not sure he took his eyes off me once and the rhythmic energy he provided really drove the choir in the most exciting way possible. Thank you to the lovely Pippa Cleary who organised the concert and I hope we’ll be back at Holy Trinity again in the not too distant future – I’ll work out the town’s one-way system in advance next time! 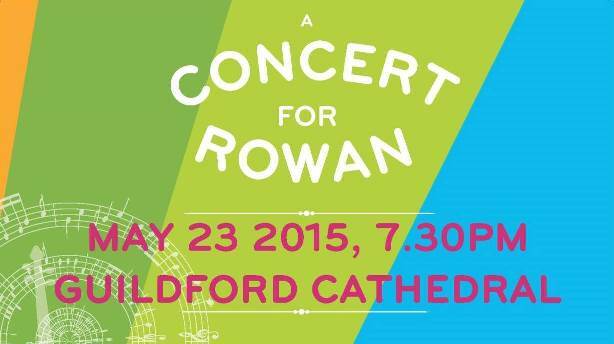 Connected with this concert is something I want to shout as loudly as I can – please, please support ‘A Concert for Rowan‘ on May 23rd in Guildford Cathedral. Dear Will Todd’s daughter Rowan was diagnosed with a brain tumour when she was just 5. Rowan, now 9, Will, Beth and the family have gone through 4 years of treatment at Great Ormond Hospital Street and have been supported by the Rainbow Trust Children’s Charity. This is such a good cause and you’ll hear some great music by both Will Todd and Bob Chilcott (an old pal from my days as a King’s Singer). See you there! Very much looking forward to working together with another old friend (and another great musician!) Alexander L’Estrange very soon. We are spending three days recording music composed by Alex at St Jude’s, Hampstead: a wonderful venue for this gorgeous music and one I’m very fond of seeing as it’s where I got married and we had my daughter Ella christened! Should be a lot of fun! We’ll give you more info about the disc once it’s all done. 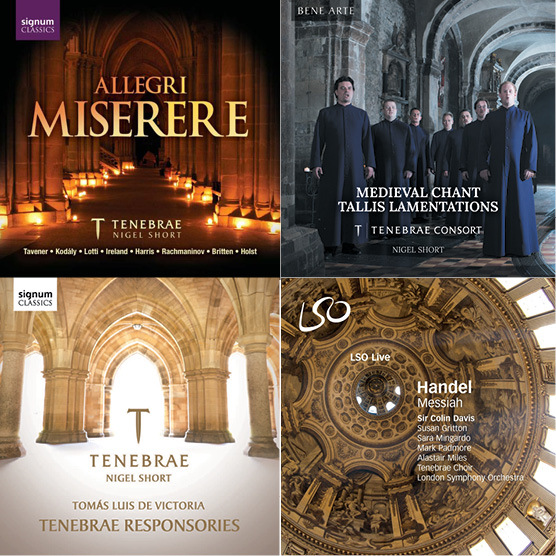 Music for Holy Week from Tenebrae’s discography that you might want to pick out if you’re feeling particularly penitential includes Victoria’s ‘Tenebrae Responsories’ – stunning settings of very intense and poignant texts retelling the story of Holy Week. Some of my favourite Lenten music and repertoire we are lucky enough to be invited to sing nearly every year. Gesualdo ‘Tenebrae Responsories for Holy Saturday’ (this was our first recording for Deutsche Grammophon and one I’m extremely proud of!). Lotti’s ‘Crucifixus’ is hugely popular owing to its lavish harmonic suspensions and “crunches” and Allegri’s ‘Miserere’ is typically sung on Ash Wednesday but uses Psalm 51, which is part of the Holy Week scriptures. The Tallis Lamentations are possibly my favourite renaissance works as a singer, although I was never able to sing the alto parts anything like as beautifully or as controlled as David Allsopp on our recording – even more amazing considering they were done in just one session! I wish everyone a Happy Easter and look forward to writing again soon. This year is our busiest yet so I’ll have plenty to write about!